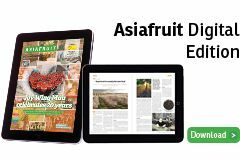 Australia's stonefruit exports are expected to continue on an upward curve in marketing year 2018/19 as demand for the fruit in China continues to increase. 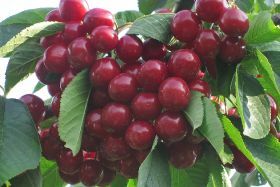 According to a US Department of Agriculture (USDA) GAIN report, the country's cherry production is forecast to increase 12.5 per cent in 2018/19, up from 10,000 tonnes to 18,000 tonnes. Cherry exports are expected to grow to 7,000 tonnes in 2018/19 compared with the 5,000 tonnes shipped in 2017/18, as mainland cherries have improved access into the Chinese market, the USDA noted. "In late 2017, cherries from Australia's mainland were allowed to be airfreighted to China for the first time, allowing the fruit to be retailed in China within 2-3 days of harvest, compared to the previous period of 20 days through sea shipment," the USDA report outlined. "Previously, only Tasmanian cherries could be transported by air from the opening of the market in 2013, due to concerns over fruit flies." 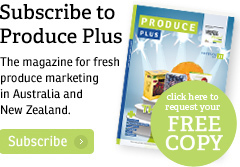 For peaches and nectarines, the report estimates a 2018/19 crop of 94,000 tonnes "assuming continued favourable seasonal conditions and sufficient access to irrigation water". This marks an increase of 2 per cent on the previous year's production total of 92,000 tonnes. Exports of peaches and nectarines are forecast to reach 15,000 tonnes in 2018/19 from 14,000 tonnes last year, due to higher production and improved market access into China. "In January 2018, new Chinese import protocols allowed peach, apricot and plum imports from Australia for the first time, following the earlier entry of nectarines in the previous year," the USDA confirmed. "Formal access for plums and peaches was not granted until mid-season, thus, the industry is expected to benefit from a full season of access over 2018/19."